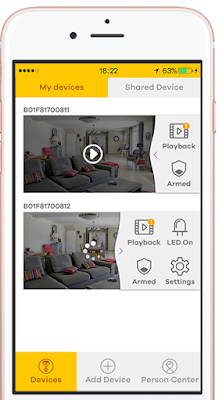 New Delhi, March 27, 2017: Zyxel Communications today introduced Aurora– an indoor night vision home camera to keep an eye on things from afar. With its full HD, full-color night vision live monitoring and real-time mobile notifications, the Aurora will give users peace of mind while they’re out or away from homes. Thanks to the one-of-a-kind triangle shape and the complimentary accessories in box, the Aurora is able to cover every corner with versatile placement options, be it on flat surfaces, attached on a magnetic surface or your existing camera tripod, or even ceilings and walls. The Aurora accessories including alarm beeper and PoE modules will be available in the 2nd quarter of 2017. Find out more information about Aurora, please visit: video or Zyxel website.